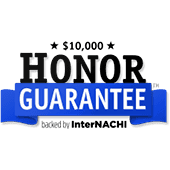 About Our Inspectors | Inspection Pros Inc.
As insured, InterNACHI Certified Professional Home Inspectors we can assure you a thorough and comprehensive home inspection. Our inspectors provide honest, objective, and thorough inspection reports. From the first contact with us through the inspection delivery and explanation of your report, you will experience the ultimate in professionalism. 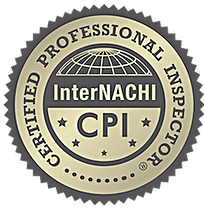 InterNACHI home inspectors are certified and trained by the International Association of Certified Home Inspectors, the world's largest nonprofit association of residential and commercial property inspectors. InterNACHI provides its members with accredited training and education, free benefits, expert advice, and peer support-all to help them serve their homeowner-clients by providing them with the highest-quality home inspections for their largest investments. We abide by a strict Code of Ethics, which puts our clients first; and use state-of-the-art inspection tools and reporting software so that our clients can make informed decisions about the homes they want to buy or sell. Our Whole House home inspection is an evaluation of the visible and accessible interior and exterior structure, systems and components. Your property inspection report will include our findings of any material defects we discover in an easy-to-read format. And, our job isn't finished until you understand everything in your home inspection report. We welcome you to accompany us during the inspection. This will give you a chance to see the thoroughness of our home inspections. Feel free to ask questions and become familiar with your new home. A Home Inspection you can rely on is as close as a phone call to Inspection Pros. We're committed to providing exemplary service to clients anywhere within the Northeast Ohio area including North Royalton, Strongsville, Broadview Heights, Hinckley, Brecksville, Independence, Brunswick, Cleveland, North Royalton, Parma, Ohio & surrounding areas. Contact us today to learn more about our company and services. 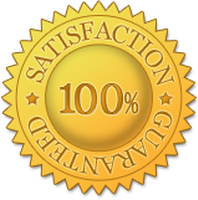 We stand behind our work, and our job is not done until you are 100% satisfied. Contact us today to learn more about our company and services.